It's funny how a simple thing in life could lift my spirit just like that! 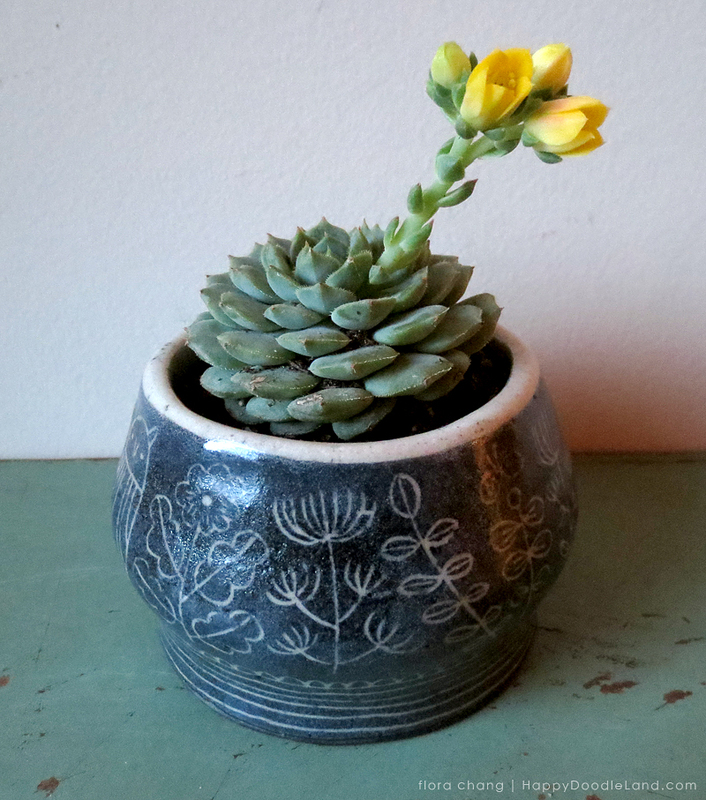 Last week I planted some succulents in the pots I made from my pottery class, and not only I haven't killed them yet (I am the infamous Black Thumb when it comes to growing plants), one of them is now blooming some sweet small yellow flowers! I am a proud mama!